In the year of 2001, I had many visions where I was given information about movements of constellations in the sky. Many times I was taken spiritually in my dream to watch eclipses of the sun, the moon, and the movements of the Polaris, and the Ursa Major. I also saw their movement and migration from their own axis. (However, I was unable to understand God’s purpose for me at that time, or what He was trying to tell me through these signs. Aren’t we not to observe constellations in the skies? But then, it indeed was also God who created all the stars, their trajectory, the twelve horoscopes? –hence, because of my misinterpretation, I had missed God’s message). 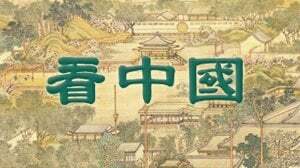 Not until in the beginning of 2009, I started receiving again. Beginning 2002, I started having visions about the stars again. One evening, the Holy Spirit spoke to me, when you see the changing of the stars in the skies, or begin hearing coverage in the media about UFOs, then you know that the end of the days are drawing nearer. Then that would be the dawn of anti-Christs and false prophets. In 2009, news on UFOs started appearing largely in the media. After September 2012, several important events will take place in the spiritual whelm. 1. It wasn’t until 2013 that false prophets and Pope Francis entered our vision. 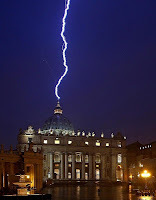 On February 11, 2013, within two hours of the announcing of the abdication of Pope Benedict XVI, lightning struck twice the St. Peter’s Basilica. It was a representation of the UFO descending on the cathedral, attacking the territory of God. The Pope faced two options, resigning from his position or die for Christ. Up until the rise of the false prophet, this has been the most destructive moment of the Roman Catholic, as well as the work of God being manifested. 2. Sponsored under the project led by the Vatican City, the study of astrobiology began in 2009 on finding life in space. The come about of Nephilim was after the fallen angel, along with UFOs known to make their appearances. As their traces were discovered by new scientific technologies, their movements were also precisely monitored and calculated. They will lead the projects to ever-more-to-come future human discoveries. In the Vatican City, pluralism is welcomed. God is portrayed as kind, charitable and forgiving, but not Holy. Pluralism denotes one god for all, engaging all religion, exclusive of the connotation of Messiah. Ultimately, the world shall end up with one religion, one body of anti-Christ. （Global prophecy 19, A new chapter – important of spiritual whelm）beginning in September 2014, we are entering the Sabbatical year of Israel, marking a new chapter, a new beginning on the calendar. The judgment of God can be seen more clearly. A spiritual warfare is drawing its curtains, which brings us to a period of darkness. The enemies and dark forces are declaring a war against us, causing destructions in God’s work in churches, ministries…etc. The impact was so detrimental under many realms, drawing a vicious circle. In the days of Noah, all living creations of God had fallen to sin, which started from sinful nature passed down genetically by natural inheritance. Yet Noah showed himself to be a righteous man, “temium” in Hebrew, in other words, “flawless sheep on the altar”, pointing again towards the rationale of inherited genes. Only the DNA makeup of Noah was not saturated by sin. The story all began with the union of angel and human, carrying on forth genes in the centuries passed, until the Noah’s era. Noah was the only person carrying the original DNA of God, the exact replication of God’s creation. Reasoned by this, we could comprehend that God had brought flood onto the earth to destroy the creations sinned in its form of DNA, and judgment to the world where Noah lived. The church of our days have been continuously interlude by Freemasonry (please refer to A Spiritual Warfare - Freemasonry). Furthermore, Nephilim is adept at living amongst human beings, like the period of Noah. The Nephilims do not identify themselves as giant or hideous in appearance, yet they are quite attractive in their looks and are highly intelligent, similar to the fallen angels who lived on earth (recorded in the book of Enoch), who passed on knowledge to humans on the building of pyramids, Stonehenge, and on areas of metallurgy. They excel in many industries, recognized as specialists in areas of economics, finance, construction, etc. We, on the other hand, would need a spiritual understanding from God to decipher and differentiate between them, while building on our own intimate relationship with God, so that we could be prepared of the last hours, sparing ourselves from captives of the enemy. When faced with similar situations, we would question which side to take; to be like Noah, preparing for the last hour, or being one of those savaged by the flood. Perhaps we do not need more so intimacy with God, we are fine where we are already. The story doesn’t sound so bad, right? Besides, I haven’t seen what you’d call a huge rainfall in a long time, how likely is there going to be one anyway? Well yes, back in the days, Noah lived in an era where rain was scarce, still led a great life, carrying on family and children. Now, must there be many who have heard Noah’s story, yet mocked him much for his doing, others look on, as a spectator. But think about this, only Noah’s family was saved from the flood, by the revelation from God. I was much taken back by what was presented to me that night. I needed to find out the spiritual meaning behind all of this. 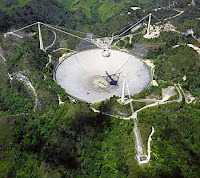 It was not for no reason that I was airlifted to Guizhou to see the space telescope, I had to find out God’s purpose for me. I sought, so I found. The Holy Spirit revealed that within the next 3 year of the operation of the FAST, it will encounter an Asian devil described in Revelations. What was God’s purpose on his ministry in this? The Ministry must devote its praying for these things, in order to see the purpose of God. The objective of praying: we learn to understand God’s purpose for us in the “conversation” that we have with Him, hence we’d be able to pray according to His purpose, not ours, in order to fulfill His work on earth. Secondly, the knowing of the research of CERN was not by the Holy Spirit, instead we had found out on the Internet. At the same time we learned this, the same message was passed on to the HK Unicorn Ministry by their staff. The message contained the CERN’s work on control of dark materials, magnetic fields, frequency changes, all of which align with the work of Satan. As the fifth trumpets sounds in Revelations 9, he was given the key to the Abyss, pertaining to the release of Abaddon/Apollyon, and locusts. This is also part of CERN’s plan, they will attempt to open the shafts of the Abyss. In the book of Enoch, chapter 10, God said again to Raphael, “'Bind Azâzêl hand and foot, and cast him into the darkness: and make an opening in the desert, which is in Dûdâêl, and cast him therein. 5. And place upon him rough and jagged rocks, and cover him with darkness, and let him abide there for ever, and cover his face that he may not see light’”. The entire earth was corrupted by Azâzêl, hence he had to be punished for all his sins. And to Gabriel said the Lord: 'Proceed against the bastards and the reprobates, and against the children of fornication: and destroy [the children of fornication and] the children of the Watchers from amongst men [and cause them to go forth]: send them one against the other that they may destroy each other in battle. Chapter 54, then they will rise with the angels to overthrow the king. They were attacking him on his throne, like a prowling lion roaring to find someone to devour, as if wolf entering the sheep’s den. They rise up on high, trampling on grounds and territories. Land lay before them. The righteous people try to stop them in their courses, yet they rise up and far above, bringing themselves to destruction, their right hands being empowered; recognized by no one. They are not recognized by even their parents, their deaths multiply in numbers. These events will take place without reason. During the days, the doors of the Abyss will be opened, they themselves will be separated. The shaft of Abyss will devour sinners alive. More details are provided in the book of Enoch, with references to Revelations. These are only the beginning stages of the end of the days of churches, of what we are about to see – they would be similar to the days of Noah, the modern Nephilims, the altered DNAs, pluralism, etc. In the new evolution, all religions shall point to one ‘god’, with the false identity of omni-kindness and goodness for all, distaining its holy nature.